The next-gen console war is getting more and more entertaining every day. As developers and executives publicly argue about the differences between the upcoming PlayStation 4 and Xbox One, it's time to take out the popcorn and enjoy it. Over the weekend, a curious thing happened: one game developer claimed a huge performance disparity between the upcoming PlayStation 4 and Xbox One. Adrian Chmielarz, who used to work at the studio People Can Fly (Bulletstorm), pointed to a significant speed difference favoring the PS4: 50%, he said. Microsoft executives were quick to shut this down. Microsoft spokesman Larry "Major Nelson" Hryb and director of product planning Albert Penello have been denying Chmielarz's claims on Reddit and NeoGAF, telling message board viewers that no, the disparity really isn't that wide. On Twitter yesterday, Penello echoed those comments—"[Performance] differences are greatly overstated," he said. I usually tune out when people talk hardware specs and performance—these systems live or die based on software, not statistics—but this is fascinating. It's unusual—and totally refreshing!—to see executives and developers going at it on the web like this. Isn't next-gen exciting? 1. I am not doing a damage control, but I do want to clarify one thing. But first, yes, devs I know — and as someone has shown it before in this thread, some other devs already talked about it too — claim that there's 50% speed difference WHEN DEVELOPING in cross-gen/next-gen PS4/XO games. So there we are, I said it and I stand by it. Notice: WHEN DEVELOPING. It'll become clear in a second. 2. Will this change in the future? Will devs discover some tricks to narrow the gap? Will stuff like XO cloud computing help? Hell if I know. Uhm, maybe? I know that devs — well, most of them — will do whatever they can do get you the best games possible. You're going to see a lot of multiplatform games this next gen, just as you've seen them in this gen, so it's in studios' best interest that there's no clear advantage in one version over the other. 3. Does it mean studios will cripple PS4 versions to match XO ones? Not really, do not underestimate the devs. Even if this happens, you will not know that and that's okay. You've never seen most games in their most powerful form anyway (when we work on them on our ninja dev PCs in 1080p 120fps with all the antialiasings and stuff turned on for shits and giggles). But most of the time devs have a target and they meet this target. If it's a multiplatform game, it's designed with this in mind from the start. So maybe it's not maxing out one console while going 100% on the other. Maybe it's 100% on both, but they take extra time for super-extra optimizations on the weaker hardware to make sure things look the same as on the more powerful platform. Etc. etc. Think about it this way. X360 is faster than PS3. Not just easier to program on, it's faster overall (although PS is faster/better in SOME areas). And yet no exclusive on X360 looks like The Last of Us. Halo 4 looks great. Gears blew my mind in 2006. And still, the best looking AAA game of this generation belongs to the supposedly weaker platform. So if you think that the war is over because PS4 is 50% faster TODAY, then you're delusional. This is far from over, and will probably never be over, at least not this upcoming gen.
2. We're in the final stages of game and SW development now. We're working closely with 3rd parties as we approach launch. Reports we're hearing back from developers consistently are confirming that cross-plat games are running the same on both platforms. I believe there is a point back near E3 where developers would have said their games were running better on PS4. I think Marc Whitten made the point that we'd just completed some driver work about a month ago just before Gamescom. And look at the frame-rate improvements in DR3 between Gamescom and PAX. We're making huge strides in our SW stability, and again, we have customized and balanced the system to reduce bottlenecks and optimize performance, in ways that aren't seen in the published specs. As to the follow-up questions; I posted earlier I'm working with the engineers directly who I think (and you guys think) will be more credible than I am. I did say that I went to them for some supporting points which I posted here - so at this point it's probably best to let them speak on it. I'm not sure when, but more detail will show up. It's late, and it's clear I'm doing more harm then good at this point. So best to let this rest from my seat and get back to you guys with the most credible source. 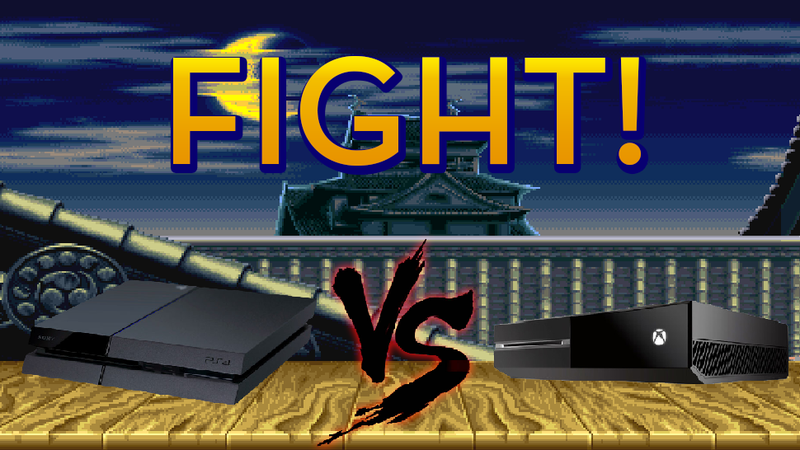 And the console war wages on. Which system is more powerful? Lord knows I don't care, and unless you're making games for one of these platforms, you probably shouldn't care either: the system worth your money will be the one with the games and features you want most. Of course, if multi-platform games wind up performing better on PS4 than they do on Xbox One, that will be something to consider, and it'll be a subject we discuss quite a bit over the next few months and years. But that's not something we'll really know until both consoles are in our living rooms. For now, all we can really do is sit back and enjoy the battles of rhetoric. Console wars are so much fun, aren't they?